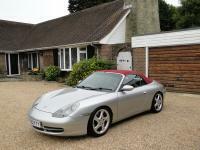 Additional information For sale here is my dearly beloved 1998 Porsche 911 (996) 3.4 Carrera 2 Convertible. 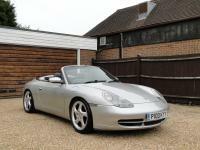 It is the 6 speed manual version in Arctic silver with a very desirable overall spec. I have owned her for 18 months during which time she has only required routine maintenance & servicing and has never missed a beat or let me down. 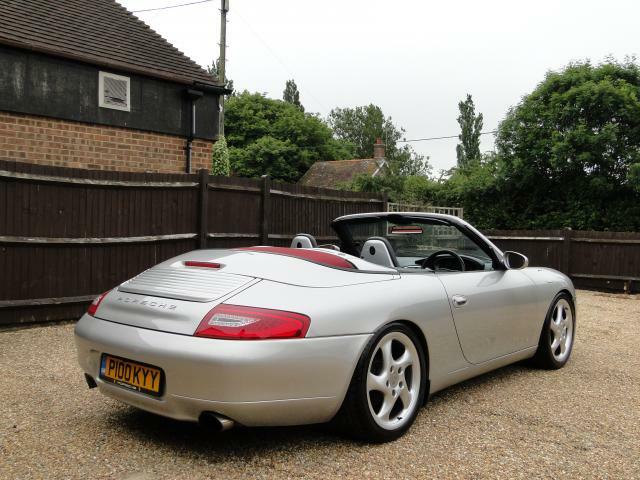 She has primarily been used for fair-weather recreational motoring under my ownership and has only been out in the rain on limited occasions with me. In terms of overall condition I would say she is extremely good. 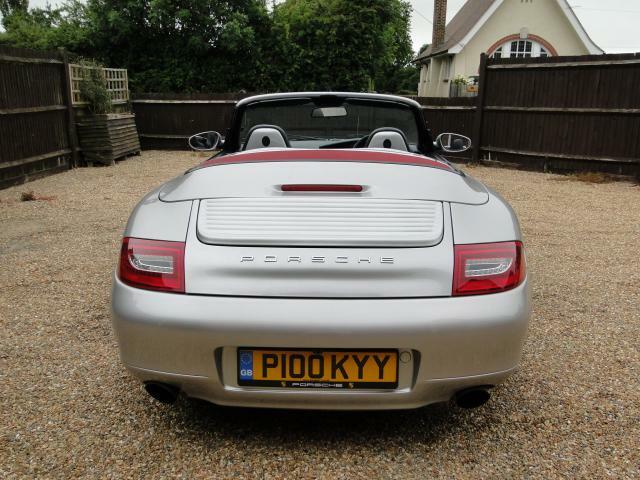 The paintwork is in really good shape with only a few very minor imperfections & blemishes. She’s regularly washed & 3 stage polished and has a nice deep glossy shine to her. The alloys have been professionally refurbished and are perfect. All rubbers & seals have been treated regularly with silicone grease in order to maintain their suppleness and the hood / rear screen are as good as you could possibly wish for as they were replaced recently. 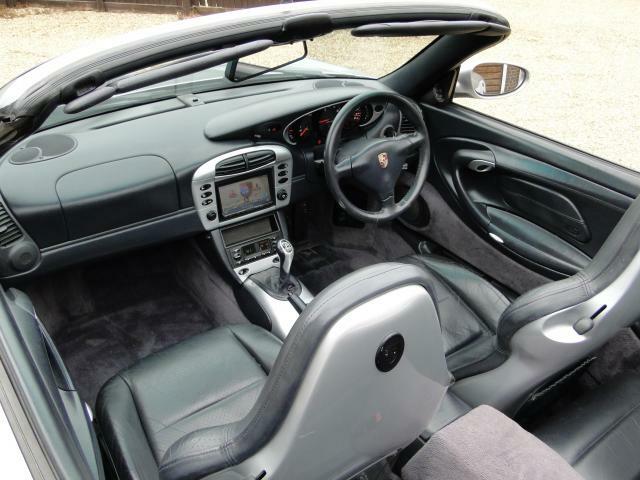 The leather is in remarkably good condition given the age & mileage – with only minor wear to the side bolsters of the seats and the top of the steering wheel. These minor flaws aside the whole vehicle is extremely presentable and still draws plenty of admiring glances. The car is fitted with an App based touch screen Kenwood Bluetooth media system (model DNN9150DAB) which includes Sat-Nav. I am not an expert on in-car-entertainment but I am very impressed with this system in terms of both functionality and how original & discreet it looks. 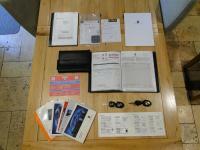 I have the original invoice from the dealer who fitted it (at a cost of over £1300). The front & rear speakers have also been upgraded (although this is not visibly apparent as they are factory fit component items). 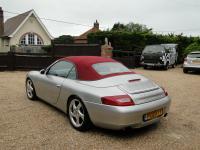 I have the original Porsche unit too if the new owner would like it. The car drives absolutely faultlessly pulling firmly, straight & true in all gears and stopping on a six-pence. There are no mechanical issues with her whatsoever and she has been the epitome of reliability since I have had her. She was serviced by well-known independent Porsche specialist ‘Octane Garage’ in Crowborough approx 2,000 miles ago and needs absolutely nothing doing in the immediate future. 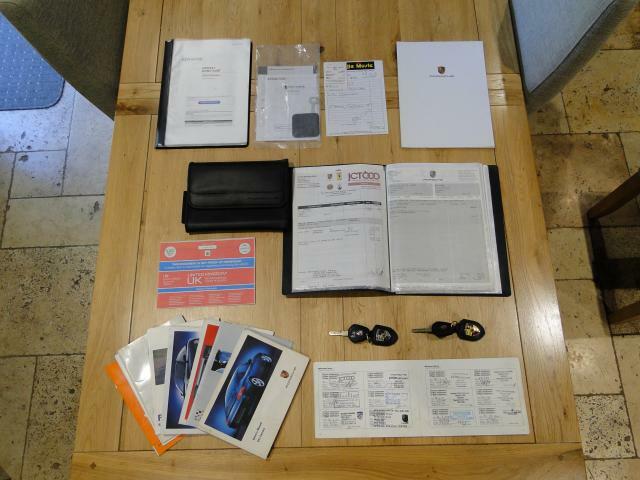 There is a re-assuringly full service history present (as per pics) with dozens of invoices for work done throughout the years as well as a fully stamped up service book. 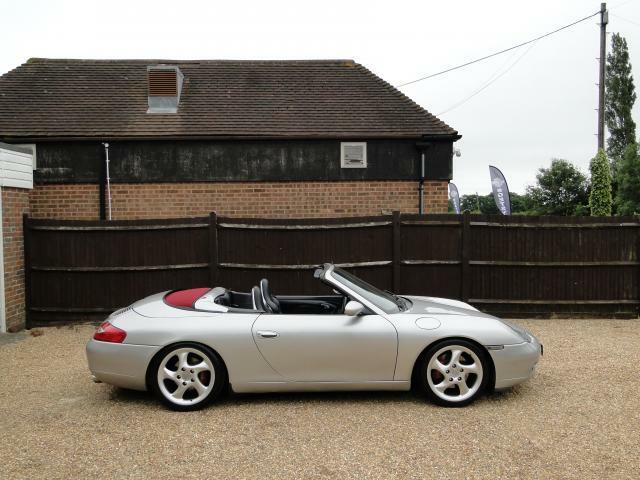 All in all – this is a superb 911 and will make an excellent future-proof investment for somebody as we all know that values are only going one way. I wish I was able to keep her to benefit from this in the long term – but sadly the funds are needed for other ventures. Those in the know will be aware that the 3.4 from this era with this sort of mileage is about the safest bet you can opt for in terms of avoiding the common 911 mechanical scares (IMS, RMS, Bore Score etc). At this price - this is the cheapest Carrera 2 Cab manual in the UK. I very much doubt that there are any others out there in such good condition at this price point. Will be sold with full 12 months MOT – just awaiting a slot at my local test centre at the time of writing this ad. 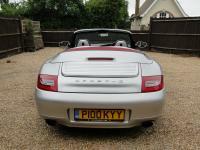 P100KYY private plate will be removed prior to sale.